ISSUE #6 Do you get jealous/envious when you view other people’s work? Does it make you a better artist? How do you get over it? 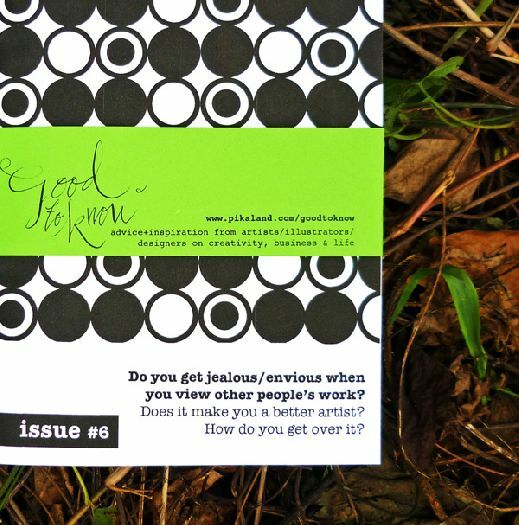 ISSUE #6: Do you get jealous/envious when you view other people’s work? Does it make you a better artist? How do you get over it? The Good to Know Project is full of advice + inspiration from artists/illustrators/designers on creativity, business and life. This issue has 39 artists who shares ways of tackling envy/jealousy.